Home prices have now fallen for the past six months, according to the Case-Shiller home-price index, after rising from their nadir for the five months before that. (Another index, from the Federal Housing Finance Agency, has, however, shown a slight uptick in March and April.) As for sales volumes, last September home sales soared in anticipation of the planned expiry of a government housing-tax credit, only to tumble thereafter, despite the extension of the deadline to April this year. As the new deadline approached sales duly climbed again. But the latest data show that even before the credit window closed, fewer sales were going through (see chart). 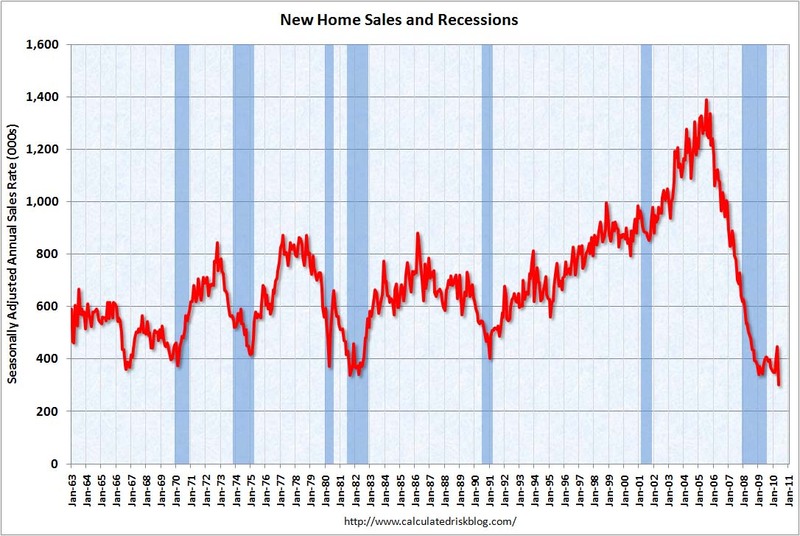 Sales of new homes fell 33% from April to May, nearly the worst performance since the bust began states the Economist. Fannie Mae said on Wednesday that it would “lockout” borrowers from getting a new loan for seven years if they “strategically default” on a property. The move is the latest effort by the mortgage industry to stem major losses that could result if more borrowers who can pay their mortgages choose to walk away because they owe far more than their homes are worth states The Wall Street Journal. The government-owned mortgage-finance giant said that borrowers who walk away but have the capacity to pay for the loan or didn’t complete a foreclosure-alternative in good faith would be ineligible for seven years from getting a new loan backed by Fannie. Borrowers with “extenuating circumstances” might be able to get a new loan sooner. “Walking away from a mortgage is bad for borrowers and bad for communities and our approach is meant to deter the disturbing trend toward strategic defaulting,” said Terence Edwards, Fannie’s executive vice president for credit portfolio management. The company said it would also take legal action to recoup the amount of lost mortgage debt in states that allow for such deficiency judgments. Of the more than 1m modifications done in 2008 and 2009, 53% are either delinquent or in foreclosure again in Q110, according to a report from Office of the Comptroller of the Currency (OCC) and the Office of Thrift Supervision (OTS) claims an artilce in Housing Wire. It is not as if the government has not tried. After the housing crash, millions of homeowners—a full quarter of those with mortgages—had loans larger than the value of their homes. Barack Obama hoped to prevent defaults with a plan designed to encourage banks to refinance the mortgages of those unable to pay. On the demand side, the Federal Reserve held down mortgage rates by buying up mortgage-backed securities, while Congress offered a generous tax credit to qualifying buyers. None of it seems to help much.